It is extremely important part of Orthodox faith in Jesus Christ to pray for the dead. Praying for those who died is a symbol of proclamation that Jesus Christ has risen from the dead and an expression of our mourning. It also shows that even death cannot separate us from one another. 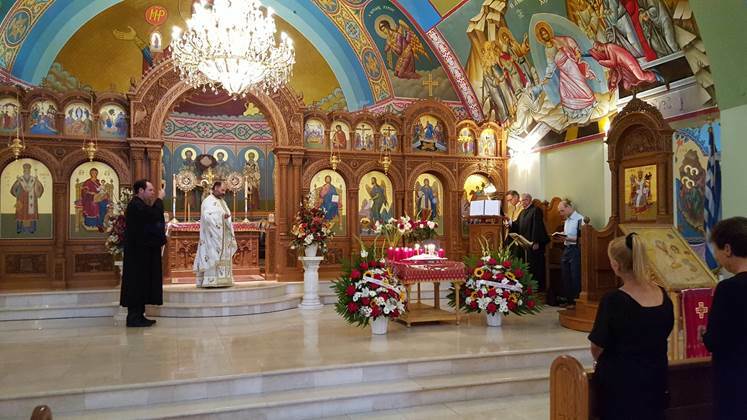 It is the custom of our Church to celebrate a prayer service forty days (or the nearest Sunday to the 40 days) after the death of a love one in remembrance of the deceased known in English as a Memorial Service. In this service we ask God to “grant rest” to the deceased “in the bosom of Abraham” (Luke 16:22-23) and to place him/her “in a place of light, a place of happiness, a place of refreshment, where there is no pain, no sorrow and no suffering” (Revelation 21:4) as we did during the funeral service. 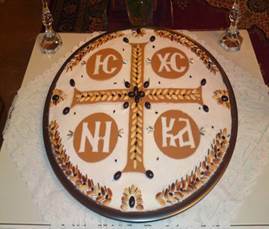 A tray of boiled wheat berries with raisins and powdered sugar in a tray called "Kolyva" in Greek is prepared for the service and is later distributed to the community during at the parish coffee hour. This tradition is based on the words of the Lord Jesus used to describe His own death and resurrection. In addition to the 40th day, Memorial Services are normally held annually on or near the anniversary of the loved one’s death. The parish office must be informed of the family’s intention to offer a Memorial Service at least two weeks prior to the desired date. Memorial Service may not be prayed on Saturday of Lazarus through the Sunday of Thomas, on any Feast day of the Lord or any Feast day of the Virgin Mary.